Enjoy the first weekend of 2019 by going to mystery rooms. Choose from their varied range of themes like- Horror- A night in Bhangarh Fort to thrills of Stealing the legendary Kohinoor in "Kon of Kohinoor". 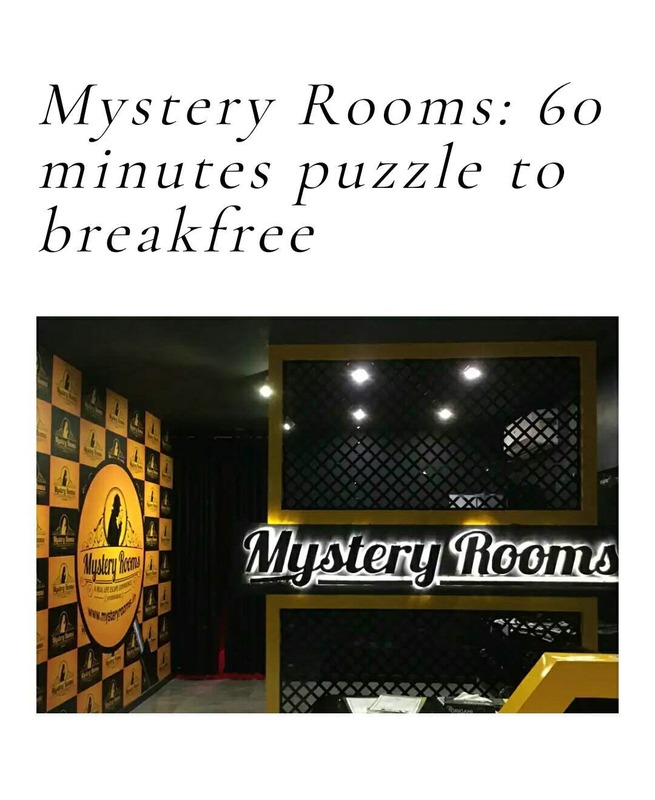 Be it Family time, a hangout for college friends or a corporate team bonding activity, Mystery rooms is the place to be. You and your team members are required to make your way by solving different challenges to get from one room to another. Details- 1. The escape challenge is for 1 hour. You can extend your time by paying INR 500 for extra 15 minutes. 2. Team - Minimum -2 members, Maximum-10 members. 3. Price Range- Cheaper in weekdays, generally INR 600 to 700 per person. 4. A Gamemaster is there to you give clues and help you out if you are stuck anywhere. 5. Best Part- you get a Medal if you win!! 6. Location- Gurgaon- Dlf phase 2, Delhi- Rajouri Garden & Connaught place. Also available in other states. Tip- Check out their facebook page- mystery rooms to get 2 extra lives also pre-booking is advised. Recommended- A night in Bhangarh Fort So head to mystery rooms to have a unique experience with your friends & family. Head to Mystery Rooms to book now!